Nicholas specialises in matrimonial finance, advising and representing in substantial asset and complex cases involving trusts, foreign assets, ante-nuptial agreements, inherited wealth, TOLATA and Inheritance Act claims. Nicholas is a widely respected advocate who specialises in the financial aspects of family breakdown. He acts for married and unmarried clients, with UK-based and international asset bases, and brings a sharp forensic analysis to complex financial disputes. Clients appreciate his clear and commercial advice, and his professionalism and skill in the courtroom. Nicholas is in demand from clients seeking counsel with an in-depth understanding of financial structures, including business and corporate issues, discretionary and offshore trusts, overseas assets and pension funds. He specialises in complex and high-value cases, and has a keen perception and understanding of his clients’ concerns. Nicholas advises in relation to personal and corporate insolvency and its impact upon family cases, on urgent financial orders in the family courts and drafting pre- and post-marital agreements. 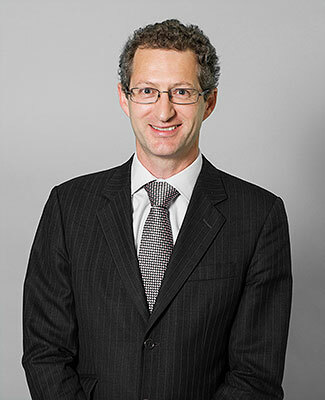 Nicholas has a busy practice representing unmarried clients and former cohabitants in relations to financial and property claims under the Trusts of Land and Appointment of Trustees Act 1996. He appeared in the case of Arif v Anwar v Rehan  EWHC 624 (Fam) and  EWHC 124 (Fam) concerning beneficial interests in a property and the interplay between proceedings in the Chancery and Family Divisions. He is also adept at managing financial claims by unmarried parents under Schedule 1 of the Children Act 1989. His charm, professionalism and meticulous case preparation put his clients at ease and he is committed to working with clients and solicitors as one legal team. Nicholas has written and presented seminars for leading publishers and lectures widely to solicitors.